Today, European currency started to lose positions due to negative news on business activity index in France and Eurozone. In addition, attention shall be focused on producer price index in Eurozone and US nonfarm payroll and some other US news. It is worth noting that following any upward correction, European currency comes under pressure from investors. Amid long-term downward correction and complicated macro-economic situation in Eurozone, investors sell European currency at the key resistance levels, as they await that Euro will weaken. If plus to this fundamental catalysts also indicate the decline, then Euro is sharply losing positions versus the USD. 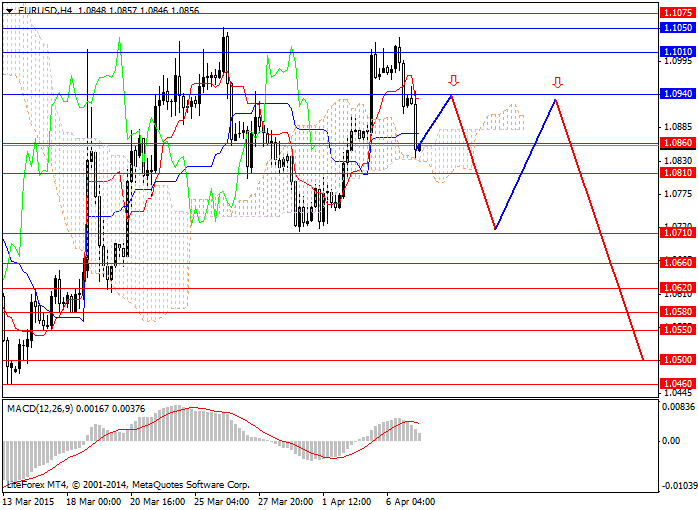 Today, the pair EUR/USD can go further down up to support level of 1.0710. In the medium-term downtrend will continue. Support levels: 1.0860, 1.0810, 1.0810, 1.0660, 1.0580, 1.0550, 1.0500 and 1.0460. Resistance levels: 1.0940, 1.1010, 1.1050, 1.1110, 1.1160, 1.1240 and 1.1290. It makes sense to open short positions from resistance levels of 1.0940, 1.1010 and 1.1050 and stop-loss above resistance level of 1.1050 and take profit at the levels of 1.0620 and 1.0550.